We live in a vast ocean of sound. But what is the sound made by a single drop? 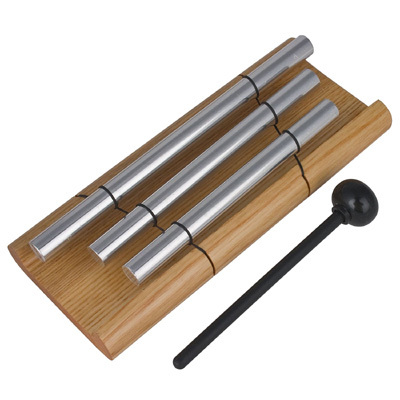 Just a gentle tap with the mallet and each of the three rods of this chime emits a powerful tone of singular beauty that lasts and lasts. Sounds like this are often used in meditation and healing, because they help us to focus and redirect our attention to the sounds within. Take a deep breath and listen. Relax. Refocus. Reenergise.